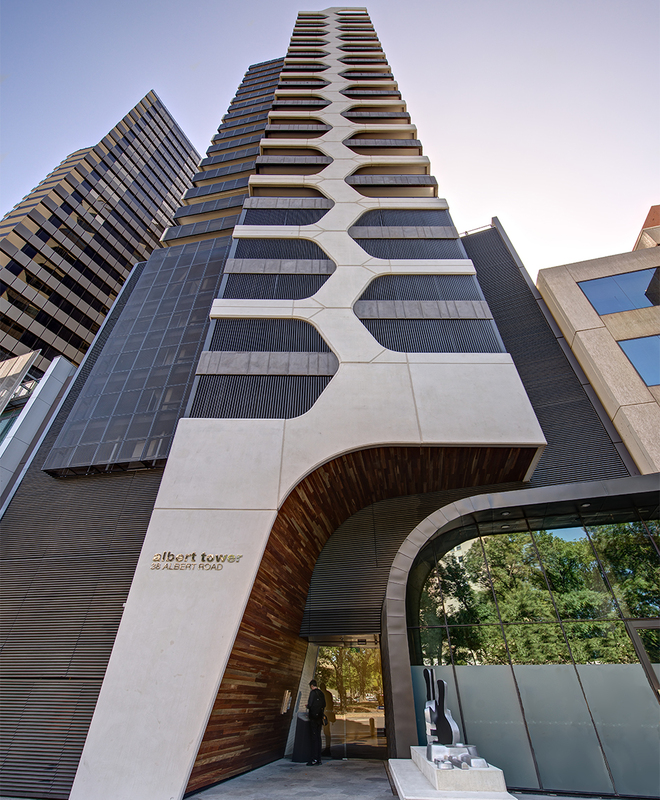 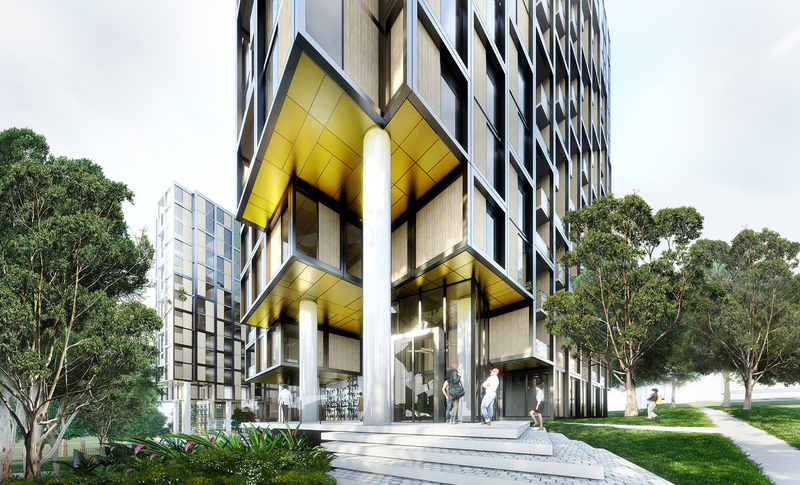 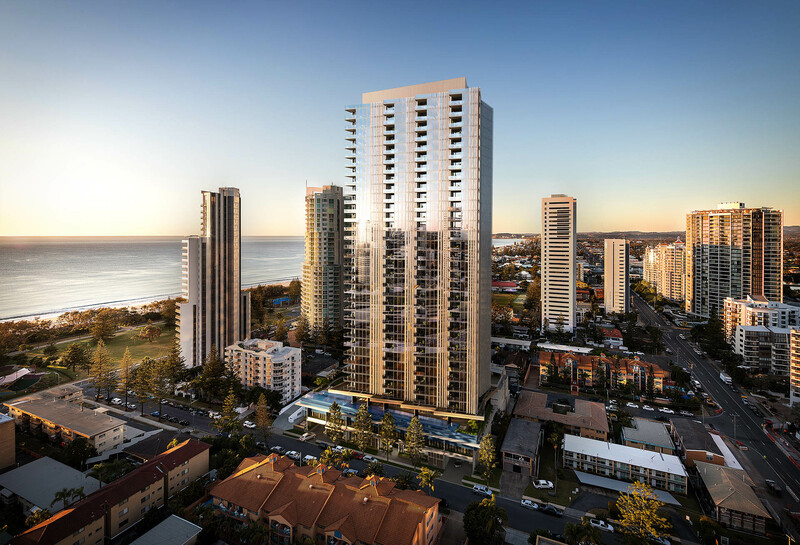 The 28 storey apartment building offers stunning views to Melbourne’s iconic Royal Botanic Gardens, the Albert Park Lake and CBD, and is an exciting and distinctive addition to the Albert Road precinct. 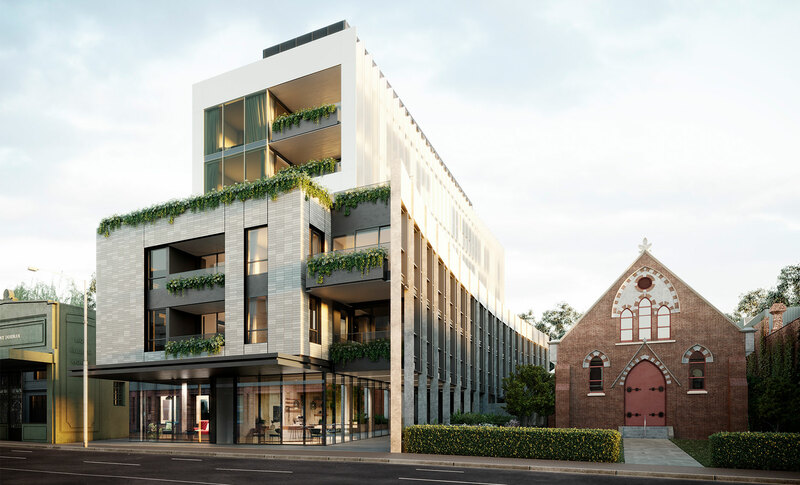 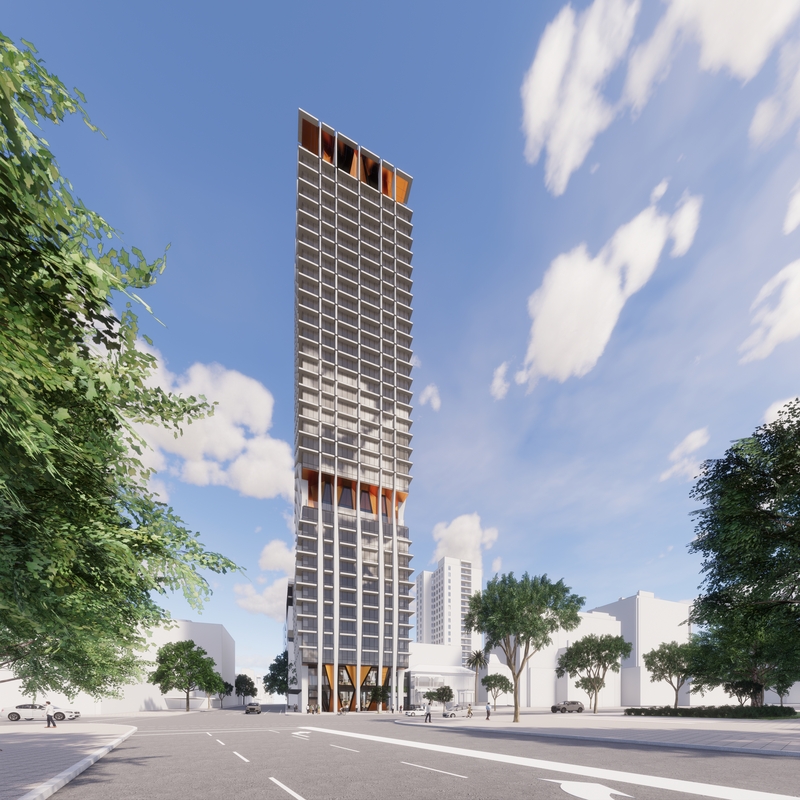 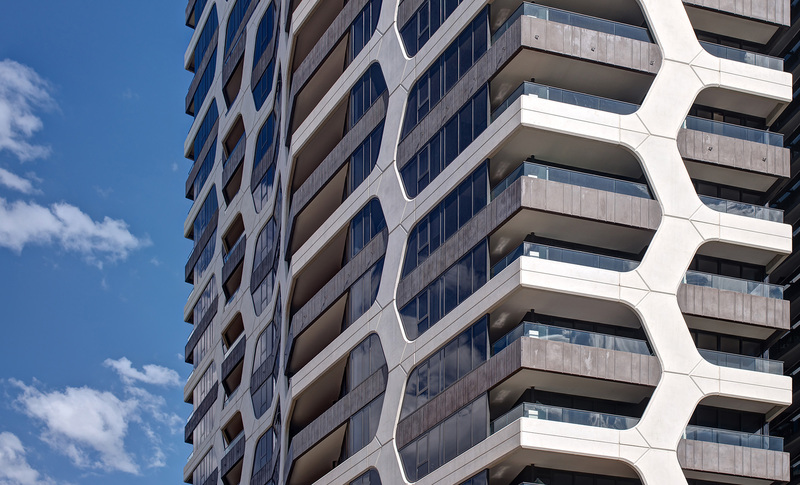 This residential project, near the Albert Road and St Kilda Road junction, consists of a unique tower that aims to revitalise the Albert Road precinct. 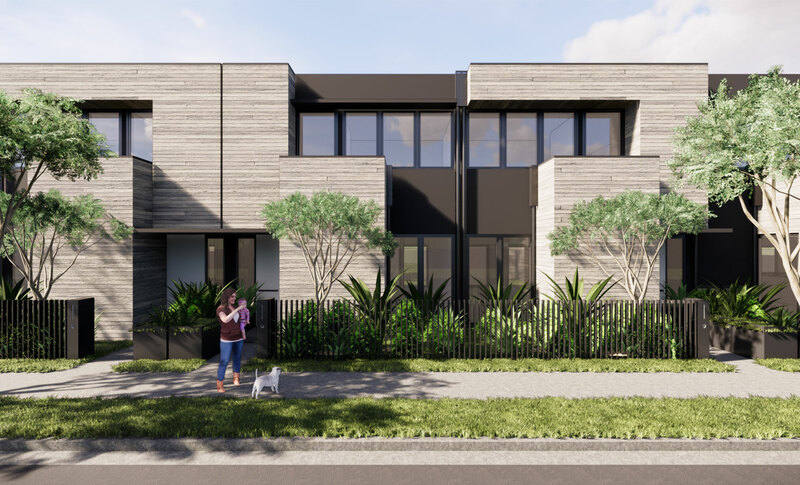 The contemporary architectural form takes inspiration from neighbouring Melbourne garden landmarks, including the Royal Botanic Gardens and Albert Park Lake. 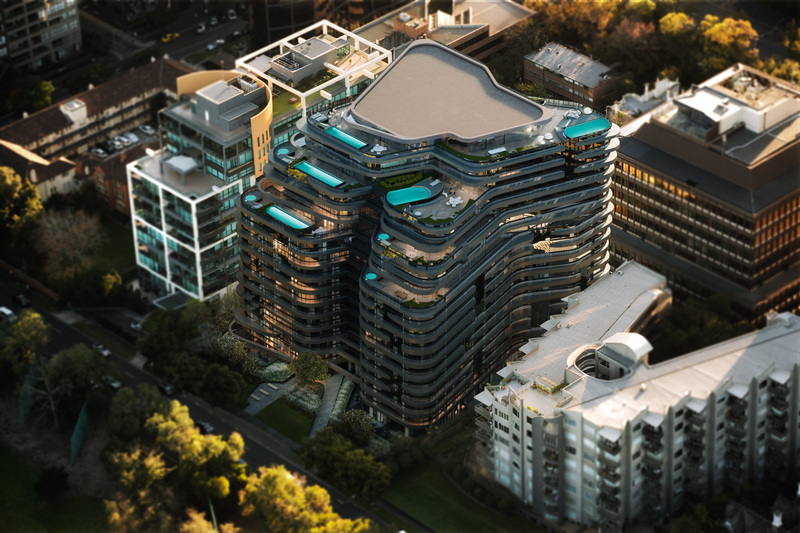 The design explores the notion of regeneration in direct response to the site’s parkland address, through the use of curved elegant lines, while a language of organic cells and repetition provides the basis for an exciting architectural proposition. 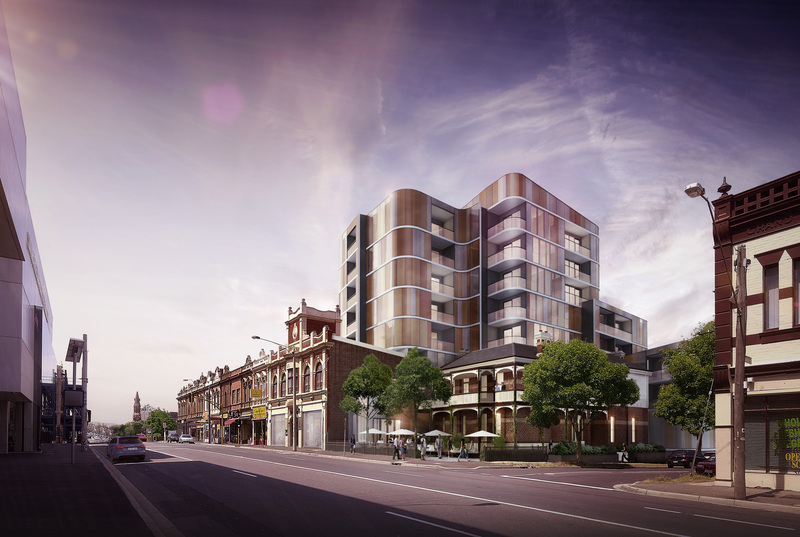 Presenting as a grand urban spine which connects to the street, the building offers a unique experience at pedestrian level, including retail street frontage to Albert Road.